People spending Christmas Day alone are finding company thanks to a Twitter campaign called #joinin. 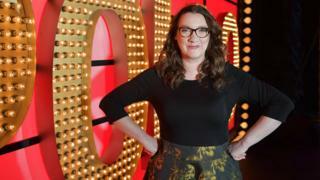 Launched by comedian Sarah Millican several years ago, it encourages people to use the hashtag and link with one another so as not to feel lonely. People from around the world have already begun to tweet with their experiences. "The main rule is to be kind," said Millican. "We're all here for each other." A number of tweeters explained why they were on their own on Christmas Day. Whilst some shared their sadness, others were positive about their situation. And there were reminders of the people spending Christmas Day alone to help us all. The campaign will run throughout the day. Just use the hashtag #joinin when tweeting to be part of it.